329 Petrie Road, Old Forge, NY.| MLS# S1164564 | Benn Realty LLC -Since 1968, and now with offices in Old Forge and Remsen to serve you better. This Fourth Lake waterfront compound is a truly rare opportunity! Located in a peaceful neighborhood halfway between the villages of Old Forge and Inlet, this acre parcel includes over 260 feet of spectacular sandy frontage. Enjoy views of Bald Mountain from the open deck and spacious dock positioned in a quiet bay away from boat traffic. 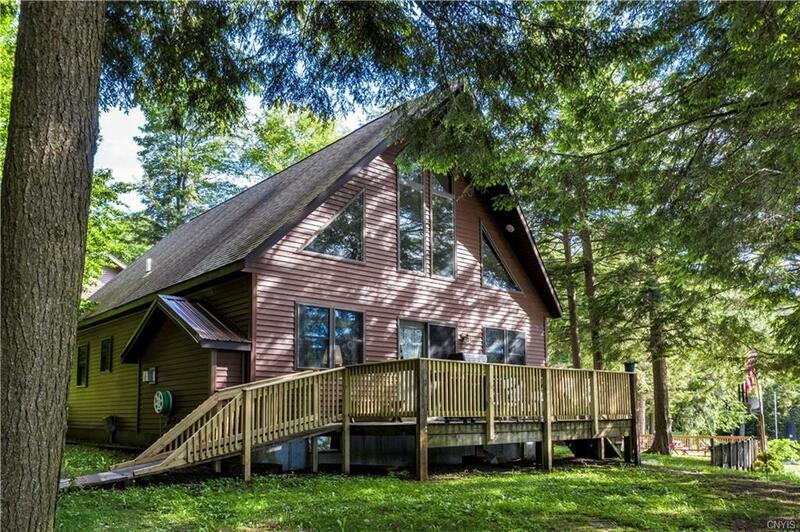 This offering included a charming 1920's 2-bedroom seasonal cottage overlooking the lake, a boathouse, a 3-bedroom chalet with a front porch and a well-built two-story garage with a one-bedroom apartment. The summer cottage has been rented by the same family for many years. The main home has a nice floor plain and great potential!